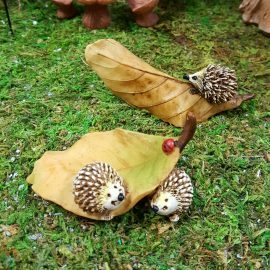 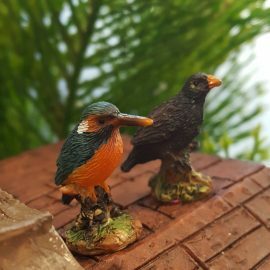 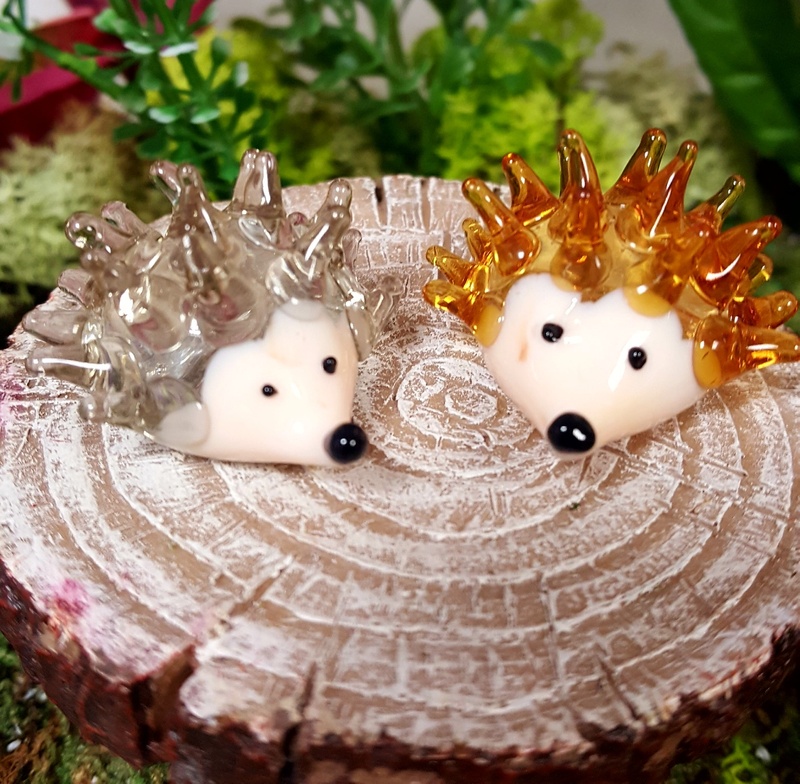 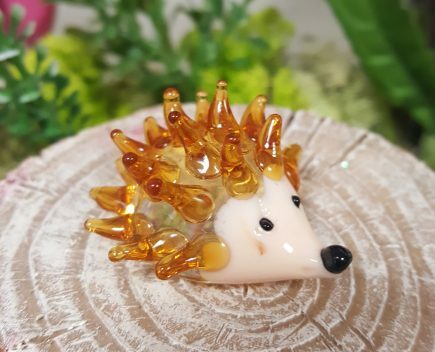 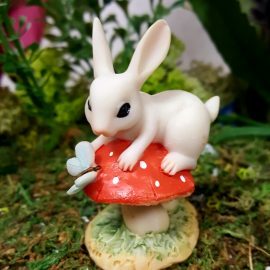 These glass hedgehogs come in 2 colours. 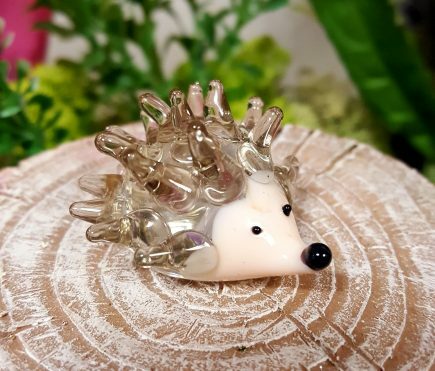 1.Clear glass with cream face. 2.light brown glass with cream face.